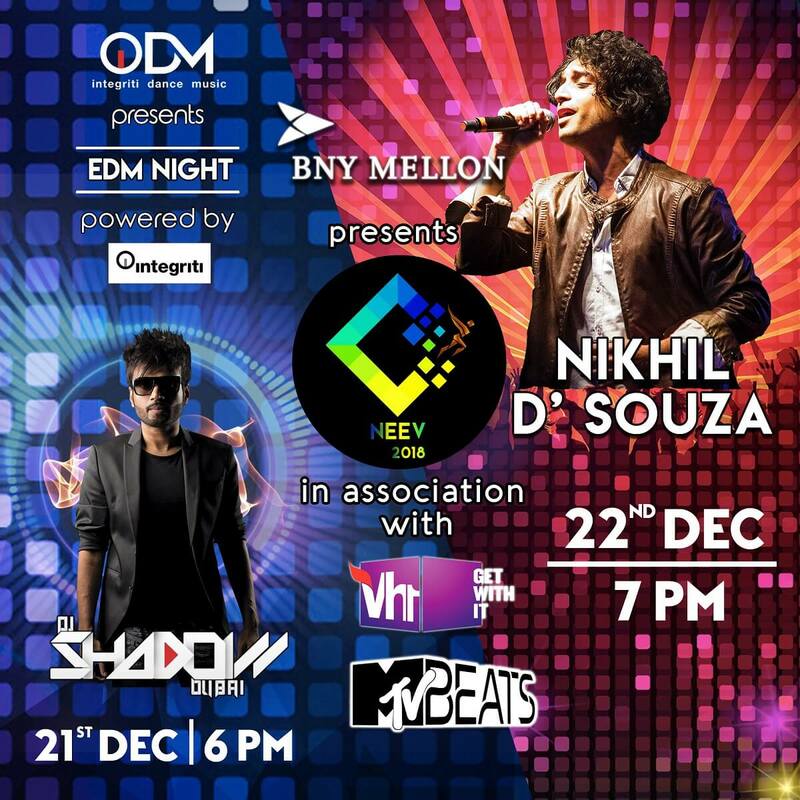 NEEV 2018 is delighted to have bollywood playback sensation Nikhil D’Souza, the singer of chartbusters like 'Jannatein Kahan' and Mere Bina' headlining the Bollywood Night, in Association with MTV beats & VH1 on the 22nd of December at SCMHRD, Hinjawadi. From headlining festivals globally to venturing into the grand arena of Bollywood, IDM brings to you DJ Shadow Dubai powered by Integriti, performing LIVE this NEEV! Come and Join us on the 21st of December at SCMHRD, for a spectacular night. Get ready for a scintillating weekend!